I first started sharing my work in college at Rutgers University. I specifically remember a student reading in 2001, right after 9/11, where I first read one of my poems aloud. I'm first generation born in the states, with my mom being raised between Cayey and Chicago; and my dad being born in Guanica and raised in the South Bronx. My parents were Aspirantes, and naturally, I was raised being proud of my cultura but also not speaking the Spanish language very well, and stumbling over salsa moves. Being Nuyorican for me, has been a dance of the "other", not quite sure knowing where I belong--but also knowing I belong to the best of split worlds. Being Nuyorican for me means asking lots of questions about what it means to be Boricua while living on the mainland; however, I am 100% sure my blood is just as thick as the beautiful Puerto Ricans that live on the island. I've been inspired by those that came before me--the likes of Miguel Algarin, Pedro Pietri and Nancy Mercado--all the greats that paved the way for the Boricua/Latin@ poets of this generation. My first public reading was in 2002 at the Nuyorican Poets Café. 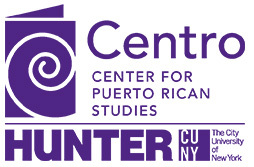 The Nuyorican movement derived as a means to validate the Puerto Rican experience in the US; notably for the poor and working-class who suffered from discrimination. Though times have changed considerably since the initial migration of Puerto Ricans from the island, we are still dealing with the same racial marginalization that Jesus Colon, Julia de Burgos, and Pedro Pietri spoke of. As a female growing up in the projects of the South Bronx, it allotted me diverse and culturally rich experiences that naturally I had to write down. I felt it necessary to document my thoughts in some satirical way. In these times of such social unrest I've joined my work and voice to the protest and outrage. There is such beauty and madness in our life and the ability to capture it in a verbal montage is priceless. So, when asked if I consider myself a poet, my answer may be yes, but so are those of us bold enough to stand on top of a soap box and declare the truth to the masses. I am a New Yorker of Puerto Rican ancestry whose work is infused with elements from 1980's East New York, Brooklyn, 1960's Lower East Side, NYC and 1940's Quebradillas, PR. I take pride in sharing my ideas and questions on the notions of class, culture, history and identity in Spanish, English and Spanglish writings. It is for this reason that I consider myself a Nuyorican Poet. The first time I ever performed in front of an audience was at Bar 13 in 2007. I consider myself a Nuyorican writer because I grew up on stories told by my mother about migrating from Puerto Rico to Spanish Harlem; of gangs and turf wars, of stories about the Young Lords and how they went from being a gang to an organized party fighting for the rights of their community. I've recently befriended the twin daughters of Lucky Cienfuegos and have been blessed enough to read some of his work. Work that hasn't been shared with anyone since the 80's; inspirational and revolutionary writing... and for this reason, I would only ever want to consider myself part of the Nuyorican Literary movement. In the fall of 2008, on a dimly lit stage facing a packed audience at The Nuyorican Poets Café, I read my first poem that included the following refrain: Despite it all, I remain Puerto Rican. This assertion of identity exemplified my cultural experience as a second generation woman of Puerto Rican and Dominican descent living in the United States. I needed to define myself. Reading the works of poets like Sandra Maria Esteves and Tato Laviera, pillars of the Nuyorican Literary Movement, who emphasized self –awareness, reclaimed their identity and made social and political statements, I began to naturally blend words and phrases from colloquial Spanish into poems I had written in English. My voice became prominent in poetry that spoke of similar issues to that of many Nuyorican poets; the unsettling concept of being straddled between New York City and the Caribbean islands connected to my ancestry and inherited memories. Credit is definitely due to the Nuyorican Literary Movement. I consider myself part of the Nuyorican Literary movement because New York is my home. Being born and raised in Brooklyn at a time when it was completely ravished by drugs and poverty inspired me to write to get away from it all. I found out about The Nuyorican Poets Café in 2009; a place where people could share their poetry and stories. I was drawn to The Nuyorican Poets Café because of its name. I immediately felt connected. I was a New Yorker. I was Puerto Rican. When I went, I listened to many other people like me who wrote their stories, raw, and bleeding in the kind of way that only pens can make you bleed. I knew that was where I wanted to perform and share my stories too. I first shared my work publicly in 2009 at the Nuyorican Poets Café. I went on that year to win a spot on their National Team and recite my poems in a National Competition where we came in 4th place in the Nation. I have continued writing and performing ever since, reiterating to everyone I meet that their voice and their stories are crucial. Our voices matter. I began writing and performing poetry in the fall of 2009. My first reading was at the East Harlem Cafe for an event curated by the New York City Latina Writers Group. Growing up, I would often use the term Nuyorican to describe my aesthetic. A proud Puertorriqueña born and raised in New York, as I've grown in age and in writing I've become more connected to my culture and people through the arts. I never learned of the Young Lords or the Nuyorican movement in school. I was never taught about the people who looked and sounded like me, sharing their struggles, hopes and dreams. Our resilient community inspiring change through art and activism; their torches sparked a fire within me to continue the enrichment of our Nuyorican legacy. The first time I presented my work to an audience was in 2010. My passion as a writer, my love for my culture, and my commitment to the arts is a great part of who I am. Built on similar values, it is one of the reasons that the Nuyorican Literary Movement has been one of my greatest influencers as a writer. The Nuyorican Movement arose as a means to validate the Puerto Rican experience in the United States. It was a movement heavily influenced by love and pride for our heritage/culture, activism, progression, and giving back to our community. As a Puerto Rican writer, I believe that it is my ardent responsibility to tell my stories, our stories for this generation and future generations to come. My art is my way of saying “I was here. We were here”. It is this revolutionary act of preservation, of creating art, which in some small way honors my ancestors and all those who came before me and will help pave the way for those who may come after me. The first sharing of my work was in the summer of 2013 at The Poet's Passage in San Juan P.R. The Poem is titled "Cleanse". I have been an avid reader and follower of poetry in The Nuyorican poet community. It is an honor that I have been extended this invitation. I too consider myself a part of this movement of words and spirit in our beautiful city. I remember I was searching for anything that answered questions about my identity as a dark-skinned Latina. I was searching for experiences and attitudes that validated the curiosity, confusion and anger I so often felt. In my searches I discovered gems like Aurora Levins Morales, Sandra María Esteves, Tato Laviera and my father, though most would not agree that my father was a poet but he was, in his own right. I felt him at the crossroads when he sang along to Ismael Rivera, Héctor Lavoe and La Fania. Their words were his cure, his validation. He had found his answers to what was then plaguing me; Latina and American, light and dark, English and Spanglish. I felt it like I felt Sandra when I turned the pages of her book. These are the stories, I thought, written in a way that was meant for only my understanding, written in a way that infused love, passion, fight and fear. It occurred to me in that very moment that my poems were made with the same exact ingredients as the poets I was meeting on the page. It was in October 2013 when I first began sharing my work in public and despite the fear of this new platform, I kept going because I knew that like Sandra and Tato my poems were and will be someone's answer one day. When I realized this, the importance of our work and the need to have it told and documented, especially in an area where so many of nuestra gente reside, I declared myself a Nuyorican Poet. Published in Centro Voices on 24 April 2015.